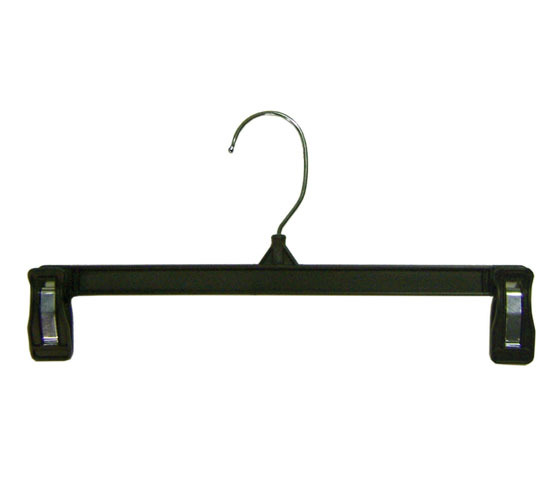 Teens black 10" plastic skirt hanger with pinch grip and metal swivel hook. Perfect for hanging teen's and women's pants and skirts. 200 per box.